4.5G, the next phase in the evolution of mobile technology, is now available all over Malta & Gozo on GO’s mobile network – only GO’s 4.5G network is 100% fibre connected. A 4.5G fibre connected network gets you the fastest and most reliable internet connection on your mobile. How will 4.5G change your mobile internet experience? 4.5G delivers much higher speeds to mobile users who are on the go. As a result, you won’t notice any difference between fixed or mobile internet. As 4.5G makes use of improved frequencies, you will experience a significant improvement in indoor coverage. Thanks to its increased traffic capacity, on 4.5G you will get fewer periods of congestion, giving you a more consistent connection. 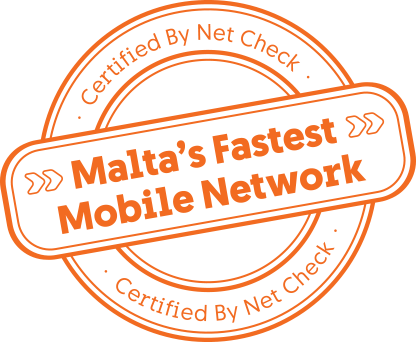 GO mobile internet is officially the fastest in Malta as certified by NetCheck. This prestigious certification is an award reserved for the best European technology leaders and places GO on the forefront of mobile technology innovation. GO mobile internet is also certified by Ookla, the company behind Speedtest and the global leader in internet testing and analysis. Used over fifteen billion times worldwide, Speedtest by Ookla is the most accurate way to measure internet performance and network diagnostic. Use the button in the top left of the box to see the legend.